The Pocono Piranhas are a member of Middle Atlantic Local Swimming Committee (LSC) of USA Swimming. USA Swimming is the largest swimming organization in the world. Meets are held often in a multi-day format with many different events that are not offered in the YMCA regular season. 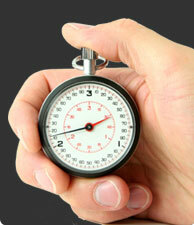 USA Swimming meets are in championship format with several heats per event and swimmers are seated by their times. One of the most important aspects about USA Swimming is that swimmers are seated right next to other swimmers with the same time as them. To join USA Swimming there is an additional membership fee of $75.00 from Jan - Dec. All meets have entry fees to participate they are generally $4.00 - $10.00 per event plus a $8.00-$30.00 (Depending on distance and number of days meet is scheduled for) per swimmer travel meet surcharge that helps cover expenses. YMCA duel and Championship meets take president over any USA Swimming or Invitational event but there are plenty of opportunities to attend a lot of meets. Example: If there is a scheduled YMCA meet you are required to attend the YMCA meet. It is not acceptable to attend a conflicting USA Swimming meet. To find out when USA swimming meets are go to our Program Calendar and look for Meets with an USA after the meet name or go to our Meet Schedule. In order to be a member of USA Swimming with the Pocono Family YMCA Swim Team all swimmers must be part of our Competitive Teams. USA Swimming is not for Take Your Mark Swimmers. Subscription to Splash Magazine – provides news, interviews and profiles of elite athletes, posters, techniques and tips. Excess accident and liability insurance – covers all USA Swimming sanctioned activities. Opportunity to participate in USA Swimming sanctioned meets. Represent your club at local, state, zone, sectional and national meets. Eligibility to participate in local and national swimming camps. Athletes receive certificates of accomplishment by achieving Top 16 times and other age group ranking programs. Eligibility for Scholastic All-American Program. 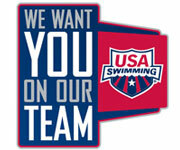 Opportunity to qualify to become a member of the U.S. World or Olympic Swim Team. Discounts on travel – special rates on United for travel to USA Swimming events. How to Join USA Swimming? Sign up for one of our Competitive Swimming Programs such as Winter, Spring or Summer Teams. Register online with the Pocono Family YMCA USA Swimming Program. (click here) to register. Choose the meet you wish to go to listed on our Meet Schedule. The meet needs to be a USA Swimming meet. There will be a USA in the right column on the schedule. USA Swimming offers a reduced USA Swimming membership to those who qualify, please click here for more information on our outreach program and for an outreach membership application. At Middle Atlantic Swimming we extend that by offering Meet Entry Fee reimbursement for registered Outreach athletes. For more information on both of these programs please contact MA Diversity Chair, Danielle Strader-Bordi at daniellebordi@aol.com or maswimdiversity@yahoo.com. celebrates breaking the world record in the 200m fly. dives off the block at the start of the 100m free.